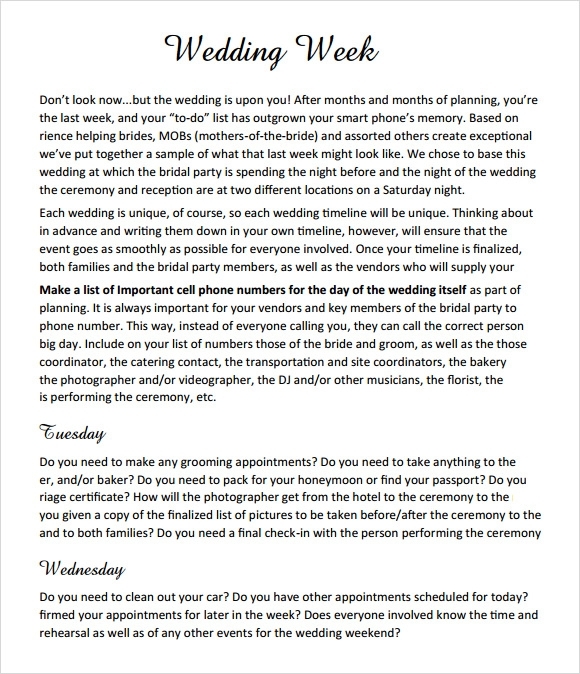 Wedding days can be frenetic and it is very easy to get overwhelmed by the situation and lose track of what to do when and how. 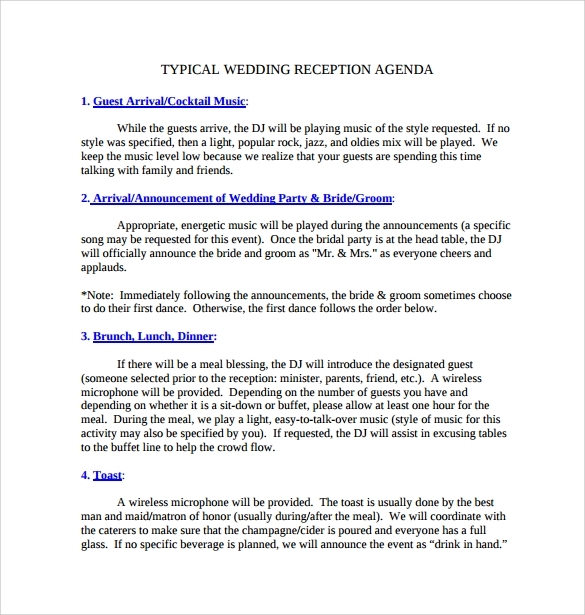 The sheer number of arrangements to be made can be an intimidating prospect. 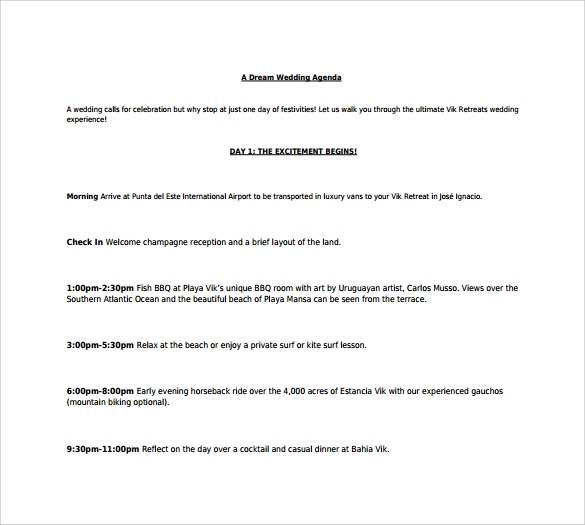 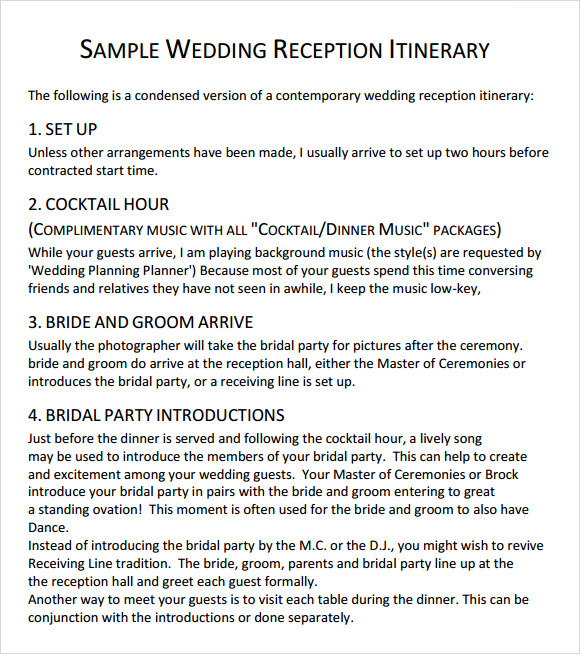 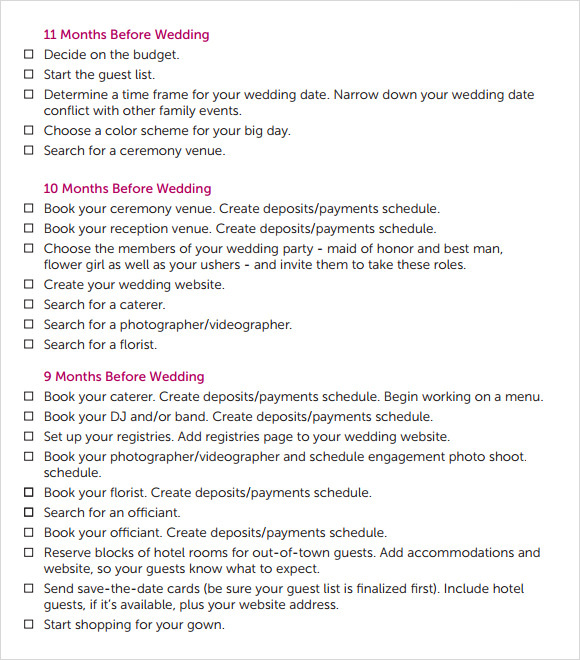 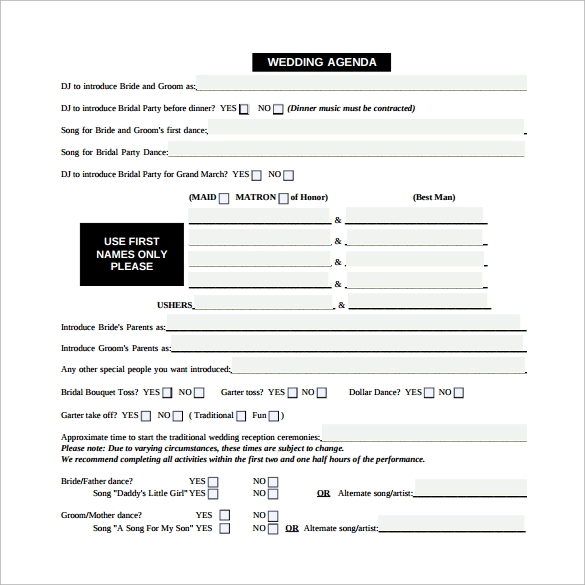 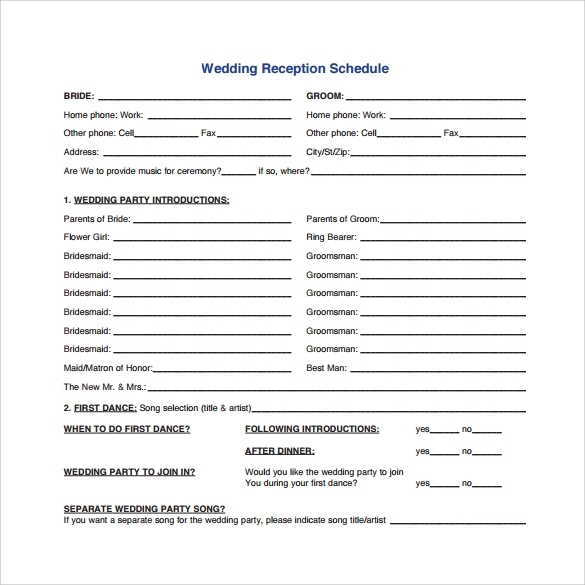 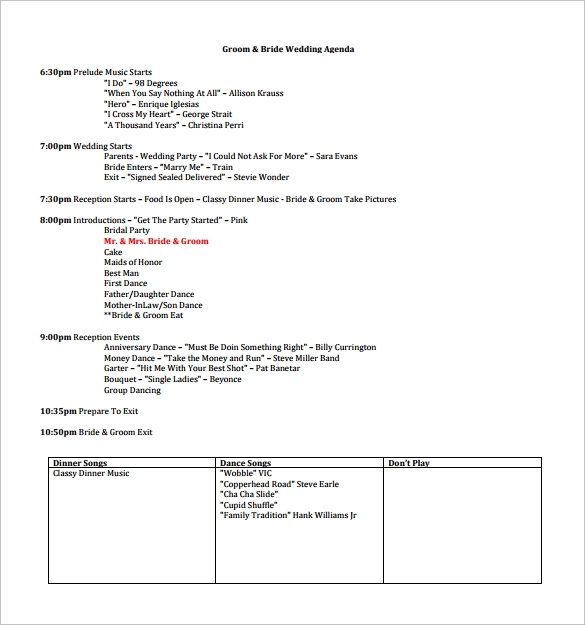 Thus, our sample wedding templates help you customize, download and print your Agenda Templates forms in the manner that suits you best. 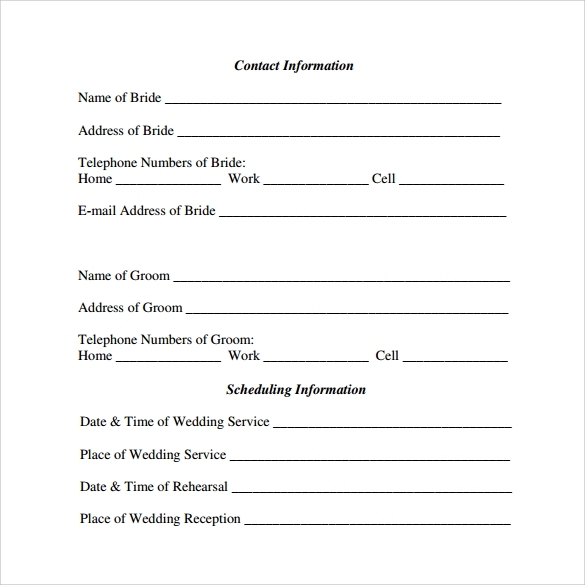 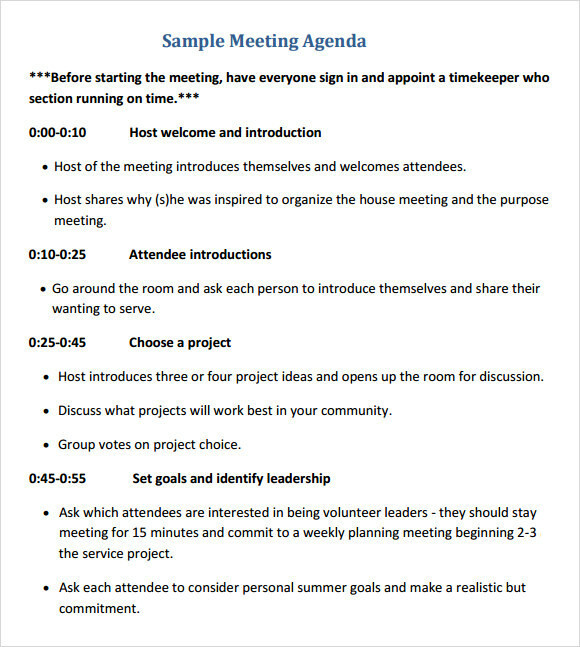 The online editing options help you arrange the list of items on the agenda in a preferential order and you can also set periodic reminders to keep you aware and informed of the tasks to be completed.